August | 2013 | Pray for Revival! “I Have a Dream” Speech was Spoken 50 Years Ago! It truly was the dream speech. Fifty years ago today — on August 28, 1963 — Martin Luther King, Jr. rose to a podium on the steps of the Lincoln Memorial and delivered one of the most important addresses in U.S. history. A quarter of a million civil-rights supporters crowded into Washington D.C. to have their voices heard, and King’s voice was the spark plug. It became a defining moment for the movement. As his electric speech came to a climax, he departed from his prepared remarks to celebrate his dream. Are We Setting Our Sails to Catch the Wind of Heaven? Welcome to the 4th Celebration Sunday and a new week of Spiritual Fitness! It is hard to believe that we have begun week 4. 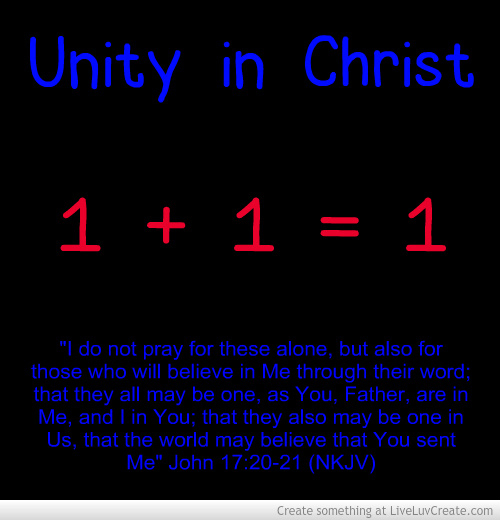 Our topic for the week will be unity, which is key to my ministry. If we want to see Revival and Spiritual Awakening in America, then churches and denominations are going to have to put aside their differences. That does not mean that we tolerate false teaching, but churches who have the same core beliefs need to unite together. Maybe we have some differences in theology on baptism or speaking in tongues, but if we believe that Jesus is the only way to heaven and God expects holiness from the church then it is time to unite together. My ministry is founded upon this Bible verse, “I do not pray for these alone, but also for those who will believe in Me through their word; that they all may be one, as You, Father, are in Me, and I in You; that they also may be one in Us, that the world may believe that You sent Me” John 17:20-21 (NKJV). Jesus did not plan for his churches to be divided by denominations as we have done in modern times, rather He wanted us to be united. He knew that united churches could combine resources to help fulfill his purposes. The body of Christ needs to quit being so divided in our theology and unite together with one common purpose. The church’s purpose is the Great Commission, “Go therefore and make disciples of all the nations, baptizing them in the name of the Father and of the Son and of the Holy Spirit, teaching them to observe all things that I have commanded you; and lo, I am with you always, even to the end of the age” Matt 28:19-20 (NKJV). Churches need to pray together with other churches in the community and our weekly prayer meetings need to be restored. Revival According to Del Fehsenfeld Jr. There Will Be Saved Souls When Revival Comes! In the Great Awakening in 1740-42, it is reckoned that 50,000 were added to the churches of New England, and about 300,000 across all thirteen colonies. In what we now call the “forgotten revival” between the years 1790 and 1840, 1,500,000 people were gathered into chapels in England and Wales alone. That constituted one out of every ten people in the country being converted. In the revival in 1859, around 100,000 were added to the churches in Ulster and 50,000 to the churches in Wales. It is estimated that in the 1859 revival in the USA over 2,000,000 were added to the churches. The Power of Urgent Prayer in Preaching! Following the tragic homicide of 19-year-old Melissa Rodriguez and the recent homicides in Omaha and South Omaha, the the Hispanic Pastors Alliance – A.M.E.N. is calling for a “Walk For Peace this Sunday, Aug 18 beginning 1:30 PM at “La plaza de la raza” on 24th & N.
The Walk For Peace will be on the East sidewalks of 24th Street North to “J” at South High, then back down the West side of 24th Street to “N”. If you are not able to walk come and Watch & Pray from the Plaza. Please Forward, then help come together as a city united against violence! I’ve never considered being called average a compliment. I think it means you’re just as close to the bottom as on top. I don’t believe that God meant for you to be average. I don’t think God meant for you to live a so-so or bland, mediocre life. As a leader, I don’t think God intends for you to be an average leader. I believe that every human being was designed for excellence, that you’re not one in a million, you’re one in five billion and as the book In Search of Excellencestates, “The average person desires to be excellent in many different ways.” There is no one else like you in the universe. As Pastors and Christian leaders, one of the key elements in our pursuit of being an above average leader is having an above average prayer life. 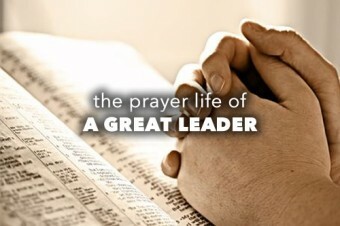 I want to share some big lessons from the life of Jabez about the prayer life of an above average leader. Jabez is a man who literally stood out in a crowd. There isn’t much written about him in the Bible. In 1 Chronicles 4, you find a couple of sentences about him in the middle of a bunch of genealogies. In the middle of 600 names God singles out one man for special recognition. He stands above average. He’s like a redwood tree in a forest of Bonzai’s. Out of those two obscure verses, we learn that there are three secrets to his life as an above average leader. What can we learn from Jabez? Jabez didn’t want to be ordinary. He wanted to excel and grow. 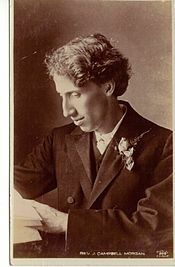 In other words, he was a person of vision and dreams. He wanted something special and something great from his life. Most of all, he wanted God’s blessing in his life. A lot of people never achieve the leadership level that they could achieve in life because they just drift through life with no ambition, no master plan, no real purpose, no dream that pulls them along. It’s what I call haphazard living. You’ve got to have a dream if you’re going to be a great leader. And in looking at Jabez’ prayer life we’ll find that his prayers actually came out of his dreams. When you stop dreaming, you start dying. If you have no goals, you have no growth. You were designed by God for great dreams. Jabez had a deep trust and belief in God. It is obvious from his prayer that he recognized that the source of his blessing was the Lord. 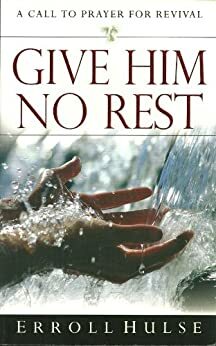 It reminds me of William Carey who said, “Expect great things from God and attempt great things for God.” In these two verses, we notice a couple of things about Jabez. If you’re going to live above average, you first need a great ambition and second, you need a growing faith.